The Producer will be Mike Medavoy (Black Swan). 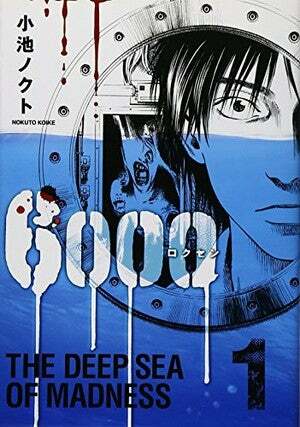 It has been reported that All Nippon Entertainment Works (ANEW) is working alongside Mike Medavoy in order to provide a Hollywood adaptation of the Horror Manga: 6000: Rokusen amde by Nokuto Koike. The story of the Manga is that a research facility under 6000 meters on Ohilipine Sea suffers an accident, one that kills the entire crew. 3 Years later Kengo Kadukara and Dansaki are sent in there in order to investigate and re-activate said facility. Upon arriving to said place, Dansaki gets injured, so Kengo is left alone alongside people he does not trusth, a claustrophobic ambient and a Hidden danger that lurks on this place. The manga launched on 2010 and ended on 2012. Edward McGurn and Ben Anderson are also Producers for the Film while Tara Billik is overseeing the project.